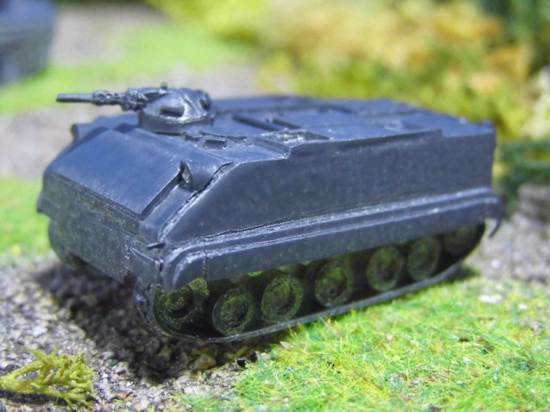 An Amphibious APC in service with the U.S. from 1954 to the mid Sixties, the M59 also saw service with a number of allied nations, and is ideal for early Cold War era conflicts or for use with smaller nations. 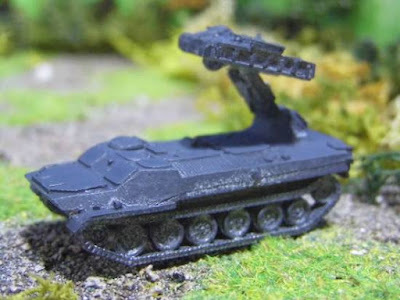 It also gave rise to the M84 Mortar Carrier. Designed to replace the M3 Halftrack after WWII, the M75 was one of the first fully enclosed, fully tracked APCs. This revolutionary vehicle saw service in the Korean War and was passed on to the U.S.' allies after its first life ended. Smaller than the contemporary M113, the M114 didn't stand up to the rigors of the war in Vietnam, and so its service life was short. 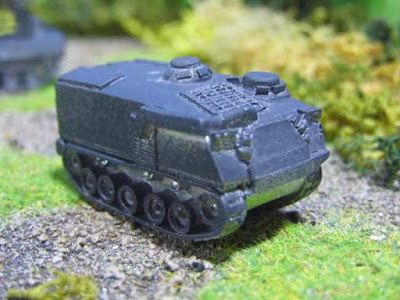 But it was useful as a reconnaissance vehicle and its low profile design helped it in this role. Deploy them to Vietnam or reactivate them from reserves to fight the Soviets in Europe! The Germans took a large number of M48 tanks to supplement their indigenous Leopards. To aid commonality, theirs were equipped with the British L7 105mm gun and internally, with standardized equipment, and they served with both the regular and territorial armies. 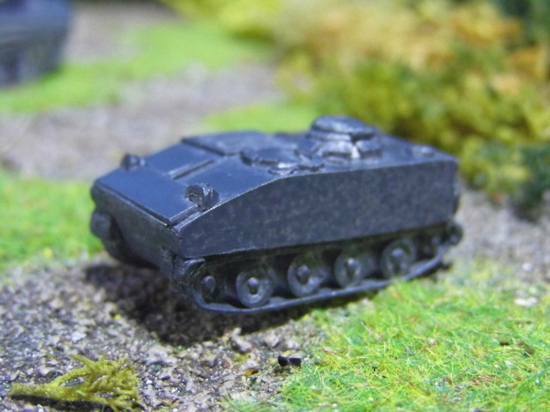 Now your 10mm West Germans can field the superb M48A2G2 as well. 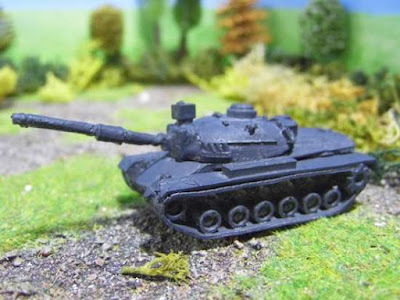 During the early part of the Cold War, the doctrine of Tank Destroyers operating independently to blunt enemy tank formations was still considered valid; as a result, the West German forces developed the Jagdpanzer series from the highly successful Panzer IV-based Tank Destroyers of World War Two. 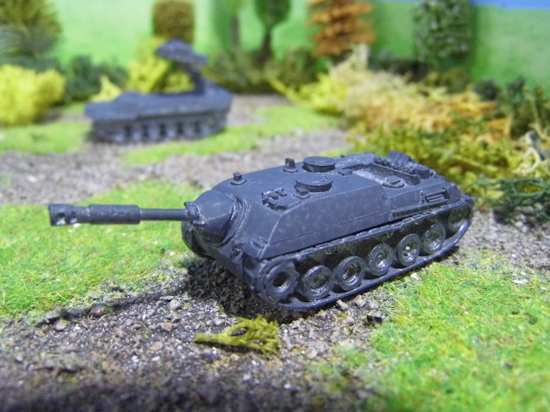 It may not have lasted when rockets and missiles took over from guns in the anti-tank role, but if the Soviets had invaded during the early years of the Cold War, the Jagdpanzer would have gone toe-to-toe with T-54s and T-62s. Lastly, we have the MT-LB based SA-13 Gopher Surface-to-Air missile system. The Soviet plan was to motorize everything; so their SAMs could be right in the thick of the battle alongside the tanks and IFVs. Still in service with a large number of Soviet allies worldwide, the SA-13 system is sure to prove a nasty surprise for the Americans.